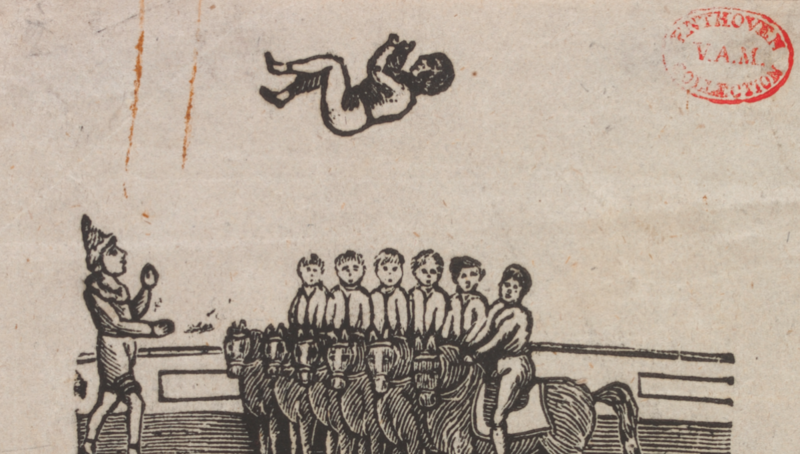 In 1768, on an abandoned patch of land in Lambeth, equestrian and entertainment entrepreneur Philip Astley built a round venue and created a variety show of people and horses performing unbelievable acts. A new art form was born, but it’s come a long way since then. Theatre and Performance Collection at the V&A holds a large number of objects that reveal the history of circus – from clowning and high wire, to menageries and sideshows. Roundhouse is London’s home for contemporary circus with April’s London-wide CircusFest, presenting what circus is now. We’ve teamed up to consider what’s next for this ever-popular physical, visual art form. Join us for an evening of circus at the V&A – take part in hands-on workshops that test your agility, discover rarely seen archives from the V&A collection, and watch a series of live performances and newly commissioned inter-disciplinary acts. Full programme announced March 2018.